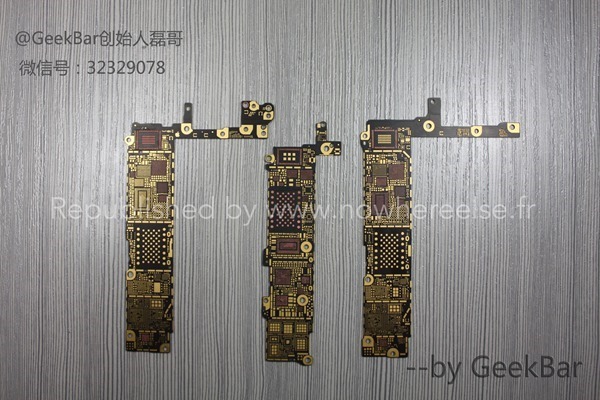 Apple’s iPhone 6 is said to be headed to market late September, which makes sense given the past few release brackets, but whilst we’ve been treated to an abundance of coverage relating to the 4.7-inch variant, the more sizeable, 5.5-inch option has remained fairly elusive. 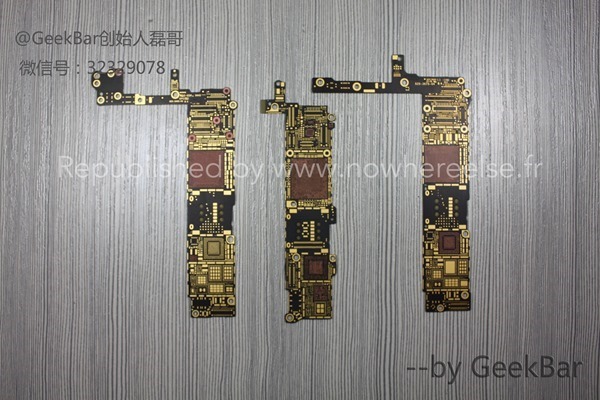 This is, however, beginning to change, which suggests that the manufacturing process for the larger configuration is up and running, and to kick off what’ll no doubt amount another week of considerable iPhone 6-related leaks, the logic boards of the two different size options have been compared side-by-side. 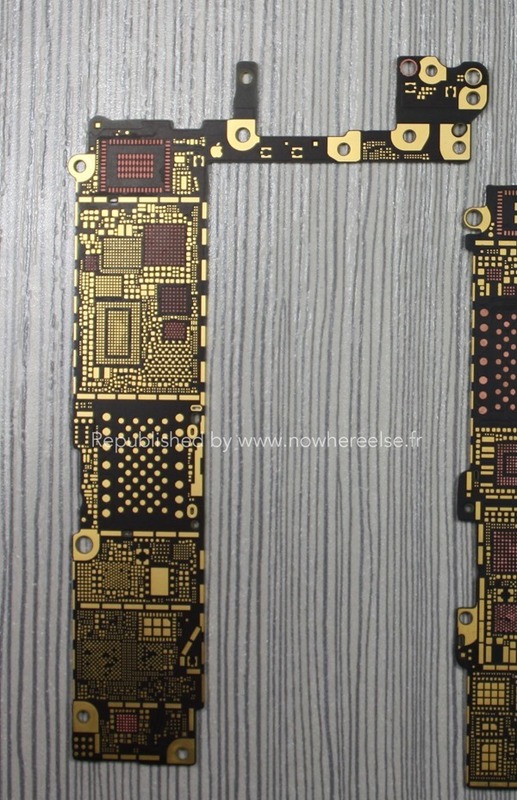 As with essentially all of our iPhone 6 leakage so far, there’s no definitive way of verifying whether the logic boards seen below are the real deal or just the work of folk looking to cook up a story, but suffice to say, if these are phonies, somebody’s gone to a helluva lot of trouble in creating them. The credit for this scoop goes out, naturally, to the folks at Nowhereelse.fr, who’ve continued to supply leaks and information in respect to the iPhone 6. 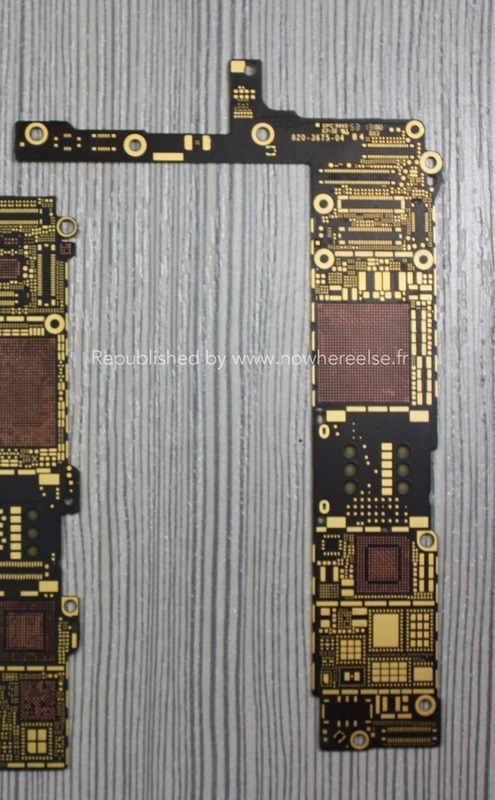 As you’ll notice, the logic board components are very similar to those of the iPhone 5s – shown in the middle of the images – and although, at this stage, it pays to be a little apprehensive, we’re fairly confident that what you see here are genuine shots of the iPhone 6’s logic board. 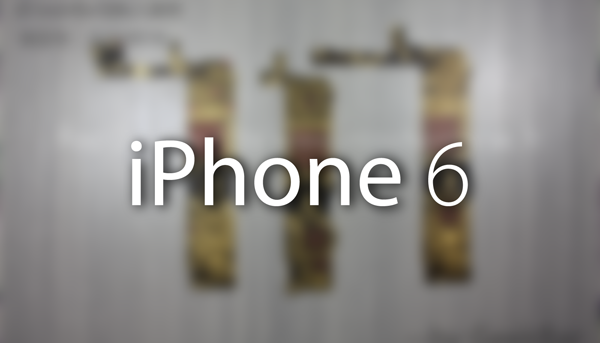 Although the iPhone 6 is set for its usual September announcement / release, it has also been suggested that the 5.5-inch “phablet” model might be subject to delay as Apple irons out some issues with the battery and display. So while this latest revelation is nonetheless encouraging, it may still be the case that those in the market for the more substantial of the two iPhone 6 sizing options will have to wait a little longer than the rest. 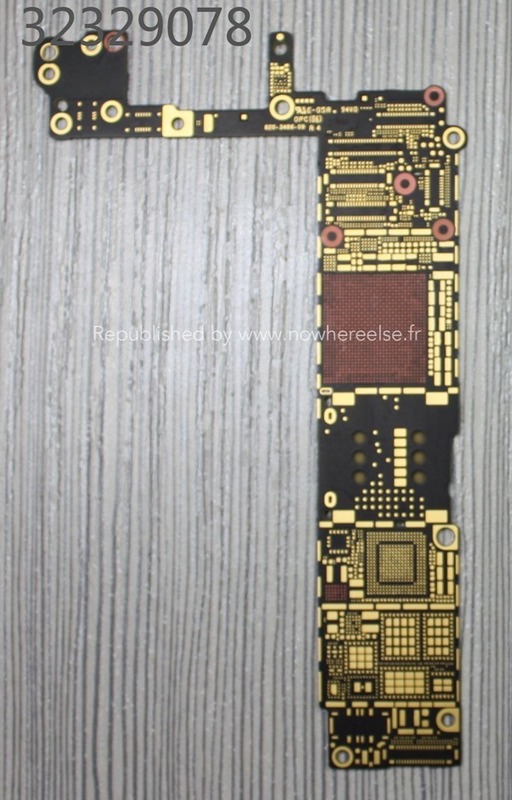 As well as the obvious larger size, it’s also reckoned that the iPhone 6 will sport a drastic redesign in the image of the iPad Air, and with the likes of NFC, better Wi-Fi and LTE accompanying the usual bumps to the camera and processor, we could be in for a real treat here. 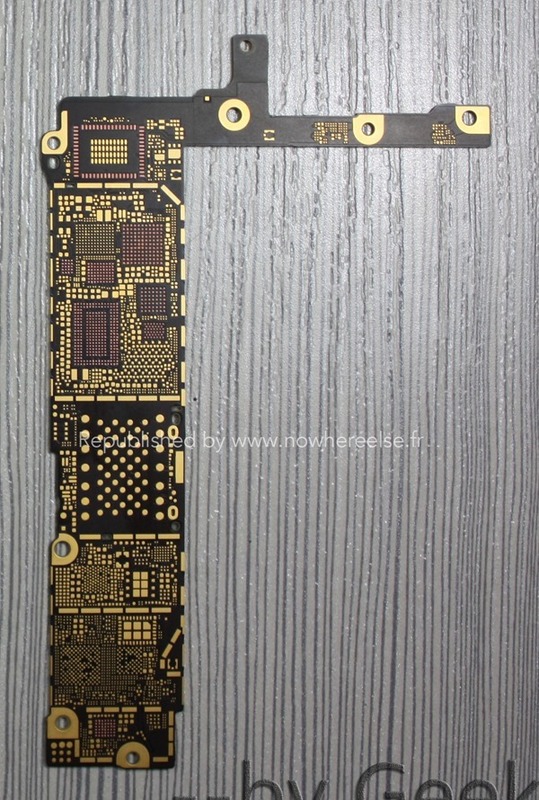 What do you think of these logic board leaks?